Description: The defining moments of the Revolutionary War did not occur on the battlefield or at the diplomatic table, claims Thomas Fleming, but at Valley Forge, where the Continental Army wintered in 1777-78. WASHINGTON'S SECRET WAR tells the dramatic story of how those several critical months transformed a beaten, bedraggled group of recruits into a professional army capable of defeating the world's most formidable military power. While the British Army relaxed in Philadelphia only 20 miles away, George Washington trained his army under brutal conditions. 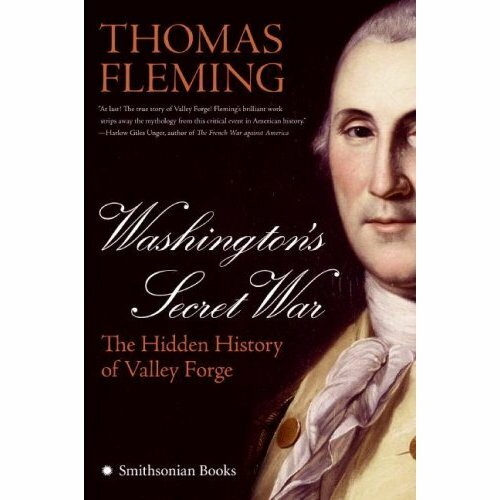 Fleming reveals that during this difficult winter Washington was simultaneously fighting another war - one for his political life as members of the Continental Congress hatched a plot to unseat him and others plotted to betray him. For the first time, WASHINGTON'S SECRET WAR reveals how Washington's genius at negotiating the gray world of spies, double agents, and palace intrigue vaulted him from losing general to the charismatic father of his country.